24 Purchases in last 24 hours! 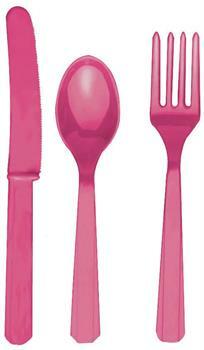 24 - Piece Bright Pink plastic cutlery. 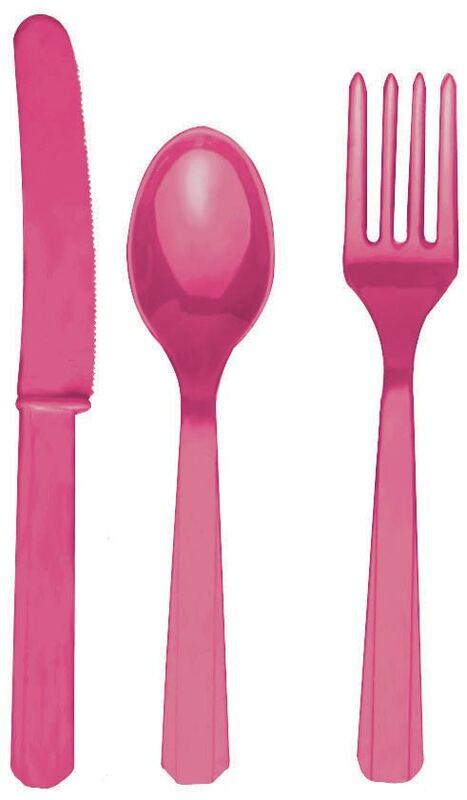 Includes 8 forks, 8 spoons and 8 knives.